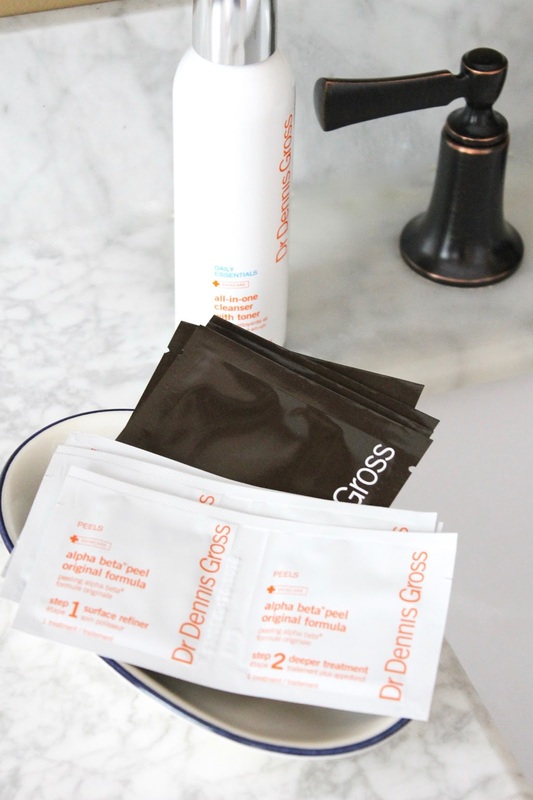 I'm constantly trying new skincare products, but there are certain standbys that certainly can't be missed in my routine, or else my skin suffers. 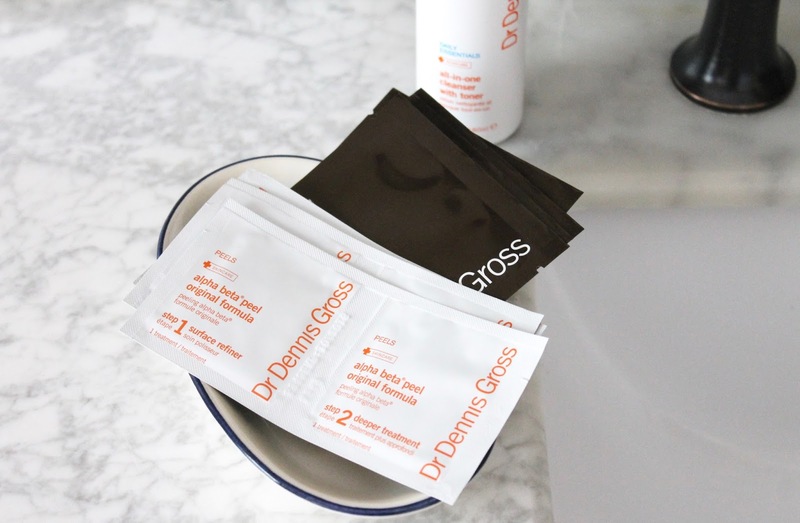 Seriously; this past weekend I forgot to take my Dr. Dennis Gross Alpha Beta Peel pads with me when I left home. What happened to my skin? It looked drab, there was a serious lack of glow, and it felt so much less smooth. I definitely knew these pads had helped my skin to look brighter and overall, better, when I first introduced them into my routine - but it wasn't until I was without them that I realized that they really are one of the main products that keep my skin clear and deliver glow. I've spoken about these amazing pads before here, and have since incorporated a few other versions of their award-winning peel pads into my routine as well. Most often, I use the Alpha Beta Peel Original Formula, because I find them to be gentle on my skin and cause absolutely no irritation. I also love that immediately after I use them, my skin feels smoother and has a bit more of a glow to it than it did before swiping the product over my face. Pretty amazing, right? Lately, I have also been alternating the original formula with the Ferulic + Retinol Wrinkle Recovery Peel at night to give my skin the dose of retinol it needs to keep clear and to keep fine lines at bay. I love how radiant my skin looks the next day - it's like an amped up version of the original and I always use them a few nights prior to a party or travel. If you're like me and have used the Original Formula for quite some time, I also suggest slotting a few of the Extra Strength Formula pads into your routine as well, just to give everything an extra boost every now and again. These ones seem to do some seriously intense brightening and rid of any unwanted rough texture completely! If it's glow in the form of sunkissed skin I'm after, I've also been reaching for the amazing Alpha Beta Glow Pad for Face, because of the über natural, healthy dose of tan they give to skin. They work great on my olive complexion and always keep my skin clear at the same time. What step do you rely on in your routine for clear, glowing skin?